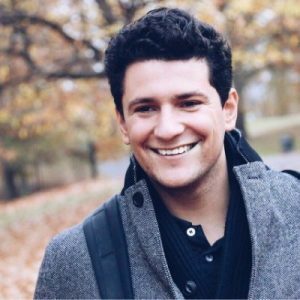 Hector Kolonas is the founder of Included.co, an online platform organising group purchases for a network of over 200 coworking communities in the world. The service helps the spaces to buy supplies and services at a discounted price, thanks to the generated volumes. As a London-based startup, which initially started to work with the London coworking ecosystem, Hector is ideally positioned to depict the evolution of the coworking market in one of the most innovative and dynamic cities of Europe and the world. The competition is becoming fierce, as somehow confirmed the discussions which took place at the recent eOffice London Coworking Conference. Hi Hector. 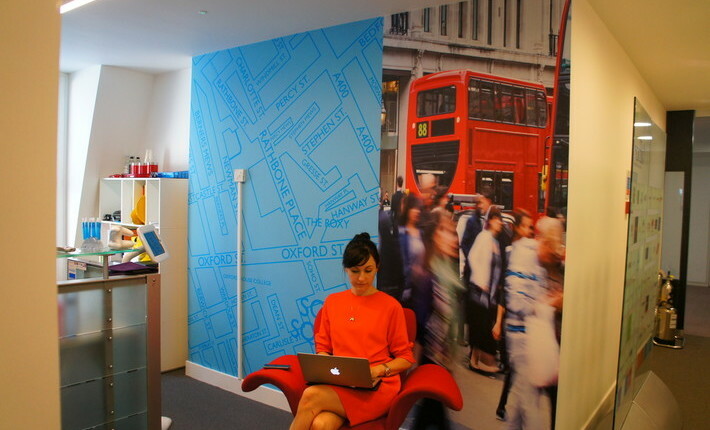 The coworking offering strongly increased, during the last three years London. What are the main drivers of the growth, according to you? Indeed, we enrich over 50 business communities across London, up from just 2 when we launched in the city. This is at a similar pace to the number of new spaces opening up. 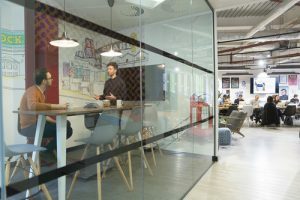 This growth includes serviced offices adapting space into open-plan, flexible workspaces; new coworking brands; expansion of existing coworking brands; and new takes on what coworking could look like for different niches. There are two main drivers behind the rapid growth of coworking communities in the city, namely economic and social. First up, rent in London is crazy expensive, as can be expected for any thriving capital city. So the notion of ‘sharing’ office expenses like rent, electricity, coffee and workspace management is a no-brainer. The increasingly flexible terms (mostly month-to-month) allow for businesses to invest in growth and their staff, instead of into sunk costs normally associated with office rentals. But that’s the same everywhere, and a reason why coworking has exploded across the globe. What’s most interesting in London though, is how rapidly the workspaces that ‘get community right’ are growing. With the growth in popularity of entrepreneurship in the UK (and Europe) a lot of passionate and brilliant people have converged in London. What’s most interesting in London though, is how rapidly the workspaces that ‘get community right’ are growing. At the beginning, everyone went at it alone, hiding the lessons they’d learned as competitive advantages for their businesses. Community-focussed coworking spaces broke down these barriers and showed members that they could grow faster by sharing knowledge, experiences and contacts. With this combination, it’s no surprise that London has begun exporting some of their coworking brands across the UK, and into Europe. It won’t be long until a few start launching in the US too. Are major brands supporting the development of the coworking market or is it fueled by the multiplication of more and more independent project? 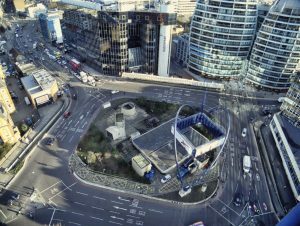 The Sillicon Roundabout, in London, around which gravitates a number of startups focused coworking. The two seem to be resonating in London, creating opportunities for each other. The big brands (both in the coworking sector and from other enterprise-focussed businesses) are creating huge spaces that create a buzz in the media and promote the fundamentals of sharing workspaces on more flexible terms than traditional rentals. The independents are either becoming large brands in their own rights or carving out perfectly built oases for specific business niches. Whilst we’ve definitely seen a few independent spaces having to shut their doors, a vast majority are working on the expansion, with 2nd, 3rd or even 4th locations opening in the coming 12 months. Businesses are increasingly switching between the two, based on the kind of employees they want to attract; customers they serve, and the additional costs they can shrink. How about the profile of the new tenants: mainly freelancers, startups, SME’s or corporations? As London is a melting pot of epic proportions, there’s a space (or subset of spaces) for almost every profile. From large polished spaces for consultants, professional services and the likes; to workspaces built around reclaimed furniture in warehouses. Some spaces limit membership to specific niches or business types, others are happy to accept any member that doesn’t create negativity in the workplace. There is definitely a growing shift of corporations moving autonomous teams into these coworking communities, but there’s still a lot to be learned about how to integrate these teams with the other non-corporate members, in a way that isn’t detrimental to the corporation. Wherever there are startups, there are passionate and creative people, and thus a growing number of freelancers can be found in and around the most buzzing coworking communities in the city. Is the demand growing fast enough to absorb the growth of the coworking offering in London? Work.Life is among the coworking brands expanding fast in London. The growth in the flexible workspace is astronomical. We’ve literally lost count of the number of shared workspaces available or being used in London, with new coworking spaces opening almost every day or two. We’ve been exploring when market saturation will occur and helping the operators of our partner workspaces to prepare for the coming dip in demand. At the current rate (and according to our back-of-a-napkin calculations) there should be enough demand to sustain the current workspace growth for the next 20ish months. 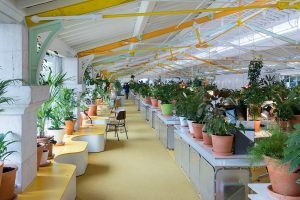 From their workspaces who only offer wifi and desk space will start haemorrhaging members to the community-lead spaces who’ve attained enough economies of scale and additional revenue streams to push down their membership fees. From there workspaces who only offer wifi and desk space will start hemorrhaging members to the community-lead spaces who’ve attained enough economies of scale and additional revenue streams to push down their membership fees. With some of the traditional commercial real estate players also exploring the coworking sector, the fight for not only tenants but brand loyalty will move from location and price to tangible value and stability. Speaking of pushing down membership feels, some players noticed the beginning of a price war in the coworking market. Do you see this? Even though I’m confident that the ‘war for tenants’ will be fought on the value and community front, there is definitely signs of a price war looming in the London ecosystem. Operating costs for coworking communities are growing due to business rate increases; the gentrification of specific burrows; and the ‘sexiness’ of coworking sneaking into rent-renewal negotiations with landlords. This opportunity has been seized by some of the bigger players to drop prices, offering what are essentially loss-leader memberships to attract tenants and potentially starve off competing spaces. We’ve had reports of members within some space being directly targeted with unsolicited marketing about workspaces “at half of what they’re currently paying”. We’ve had reports of members within some space being directly targeted with unsolicited marketing about workspaces “at half of what they’re currently paying”. With more and more sales teams being hired to fuel expansion, being able to absorb losses to acquire potential long-term customers is becoming a weapon of choice. But the line between sales and community is also being crossed more and more. With some members even reporting having received messages congratulating them on personal milestones (possibly mined from private social media channels) before offering them a free tour or discounted membership as a gift. I should obviously note that this isn’t the whole industry though, as many coworking space managers are actually and actively collaborating behind the scenes to help each other out. With London’s center being so dense and expensive, do you see an expansion of the coworking offering in the suburb? Are those spaces different (size, positioning…) from those located downtown? There are actually two interesting trends here. Firstly, great community-focussed spaces from outside Zone 1 and 2 are opening new workspaces towards the centre or on other sides of the city. By leveraging their knowledge, brand equity and operational experience they can offer more affordable or valuable workspace offerings. These workspaces can either be smaller satellite-style offices or grander whole/half buildings with new features designed specifically based on the requests/needs of their existing members. Secondly, larger brands are diversifying their market exposure, potentially hedging against the coming market saturation and price wars. This means they’re opening locations in cities like Dublin, Manchester, Lisbon, Barcelona and others. In smaller cities, the new workspaces are normally larger due to lower rentals and operating costs. A number of local coworking brands have also raised VC funding to fuel this growth. Whilst no brand wants to ever be seen to be ‘fleeing’ the centre, some communities are moving further outwards to keep their businesses feasible. With superb community coordinators, and when well explained, this can happen without any long-term detriment to the brand, and can sometimes even strengthen members’ relationships to the community. You mentioned it above. Coworking spaces diversify their revenue sources. What can you say about it? From all the communities we observe, assist and enrich, we’ve picked up on 3 different avenues for revenue diversification. These are excluding the renting out of registered addresses and meeting rooms, which can be expected in any thriving metropolitan ecosystem. The first is sponsorship, which is arguably the most attractive, because who wouldn’t want to have ‘free money’ thrown at them? Professional service and technology brands are happy to write cheques to community coordinators, to lock in the exclusive promotion of their offering. What we’ve found is that around 75% of the time, these offerings are not what the member businesses need or even want, but the community manager’s hands are tied by the agreements with sponsoring firms. c) the workspace will make enough revenue to recoup this invested time. The third is actually where we work every single day. We handle inbound partnership requests, negotiate on behalf of 200 communities, and ensure that the workspaces get a fair apportion of generated revenue on a long-term basis. As we don’t offer any exclusivity, members will never be tied to a single provider, allowing them to discover solutions that their coworkers are using, and saving money with. This means that the members of each space in our network get access to a growing set of solutions, and the community coordinators can focus on implementing creative ways to connect their members to the solutions. Some of our partner communities are saving their members £1,000’s in unavoidable expenses each month, driving up their own long-term revenue and building great brand loyalty at the same time. With the price war looming, and the costs of operating increasing, it’s no wonder why so many coworking communities are becoming included too.